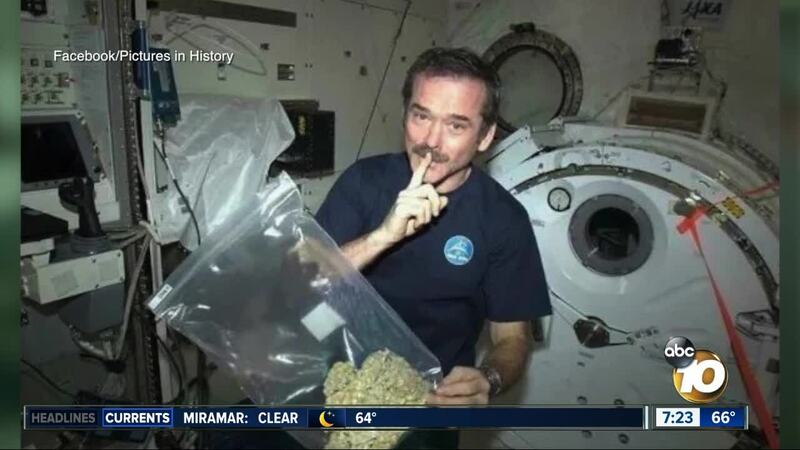 Fact or Fiction: Astronaut shows off bag of pot? Does a picture really show an astronaut with a bag of pot in the International Space Station? (KGTV) - Does a picture really show an astronaut with a bag of pot in the International Space Station? The photo going around online is a doctored version of astronaut Chris Hadfield holding up a bag of plastic Easter eggs.